They say repeating something three times makes it a habit, so I guess we've established a steady routine for Iconic Evolutions! In this weekly video series, artist Wayne Reynolds takes Paizo's publisher and chief creative officer, Erik Mona, through his creative process in updating Pathfinder's iconic characters for the game's Second Edition, coming out this August. 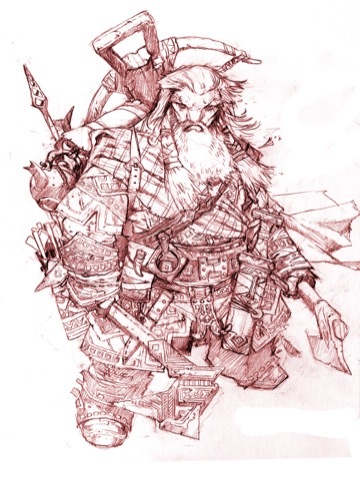 Check out this short video of their conversation for a glimpse into the mind of Pathfinder's most iconic visual artist and the first official look at the new version of Harsk, the iconic dwarf ranger! Rangers have a long tradition in heroic adventure. Whether they're portrayed as lone striders keeping the edges of the wilderness free of the threats that lurch forth from the world's shadows, as hunters tracking down fugitives or beasts, or as skilled archers serving as a scouting force for a local lord or group of village elders, rangers have a special place in our fantastical imagination. 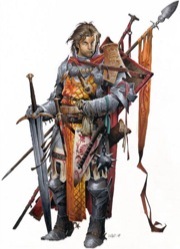 For the Pathfinder Playtest, we decided to cleave closer to the core principles of the ranger—a rough and tumble warrior in the wild, possibly of the wild himself. Because of this, the most significant change we made to the class was that it no longer has spellcasting ability, at least as a default. Of course, this doesn't mean we have to abandon this aspect of the Pathfinder First Edition ranger forever. Because of the way classes are now structured, it would be easy to create a spellcasting build of the ranger later using Spell Points (like the paladin), but for the Playtest, we are trying out a a spell-less ranger. But enough of what the ranger doesn't have. Let's take a look at what he does. First and foremost, the ranger is a hunter. In Pathfinder First Edition, you picked creature types or subtypes that you were skilled at hunting. There are few things more frustrating than playing a ranger who rarely—or worst of all, never—encounters their favored enemies. It also led to some players who tended to play in more human-centric campaigns picking the human subtype, even if their backgrounds may have pointed to better choices for favored enemies. This time we made the ranger hunting ability a bit more flexible, based on some popular ideas from the guide archetype and the slayer's studied target. At 1st level, rangers gain the Hunt Target feature. Requirements You can see or hear the target. You designate a single creature within 100 feet as your target and focus your attacks against that creature. While hunting that creature, you gain benefits for focusing your attacks. As long as all your attacks in a round are against the target you're hunting, the multiple attack penalty you take on the second attack is -4 (-3 with an agile weapon) instead of -5, and -8 (-6 with an agile weapon) instead of -10 on the third and any further attacks in the round. You also ignore the penalty for making ranged attacks against the target you're hunting within your second range increment. You also gain a +2 circumstance bonus to Perception checks when you Seek your target and a +2 circumstance bonus to Survival checks when you Track your target. You can have only one creature designated as the target of your hunt at a time. If you use Hunt Target against a creature when you already have a creature designated, the prior creature loses the designation and the new target gains the designation. In any case, this designation lasts until your next daily preparation. There are many class feats and some higher-level abilities that augment the ranger's Hunt Target. For example, at 17th level, the masterful hunter feature decreases the ranger's multiple attack penalty to -3 (or -2 with agile weapon) with his second attack and -6 (or -4 with agile weapons) on his third or further attack, and he can ignore the penalty against the target of his hunt in the second or third range increment, assuming that he has at least master proficiency in the weapon he is. Speaking of which, like the fighter, the ranger gains weapon mastery for a group of weapons, though he gains it at 13th level instead of at 3rd level like the fighter. At 19th level, the ranger gains the swift target feature, which allows him to use Hunt Target as a free action triggered before he makes his first Strike each round, so he's never without a target to hunt! The specifics of the Hunt Target ability make the ranger excel at a variety of combat styles, especially his traditional two-weapon fighting (since you can decrease the multiple attack penalty with agile attacks to be incredibly small) and archery (since you eliminate some of the most common ranged increment penalties). Of course, a ranger with a less traditional style, like a greatsword with a reduced multiple attack penalty, works great too! Other class features allow the ranger to stalk and avoid his foes. At 5th level, he gains trackless step. At 7th level, he gains evasion (followed by improved evasion at 15th level). He gains nature's edge at 9th level, which allows him to treat enemies in natural difficult terrain or in difficult terrain resulting from a snare (more on snares later!) as flat-footed. Come 11th level, he gains the wild stride feature, which allows him to ignore or minimize the effects of difficult terrain. Class feats, of course, determine the flavor of individuals within a class, and the ranger is no different. Specific ranger feats allow him to gain an animal companion at the same progression as a druid's, though potentially with special benefits that only a ranger can obtain. Other feats will enable him to further focus on his weapon choice, including a whole string of feats that allow him to specialize in two-weapon fighting. Some fun feats allow the ranger to use his knowledge and senses to aid his allies as well as himself. Here are a couple of my favorites. When you critically succeed to identify a target you're hunting with Recall Knowledge, you (and your allies, if you tell them) gain a +1 circumstance bonus to your next attack roll against it, but not against other creatures of that species. The creature is bolstered. Trigger You are about to roll Perception for initiative. You audibly or visually warn your allies of danger, granting them a +1 circumstance bonus to their initiative rolls. 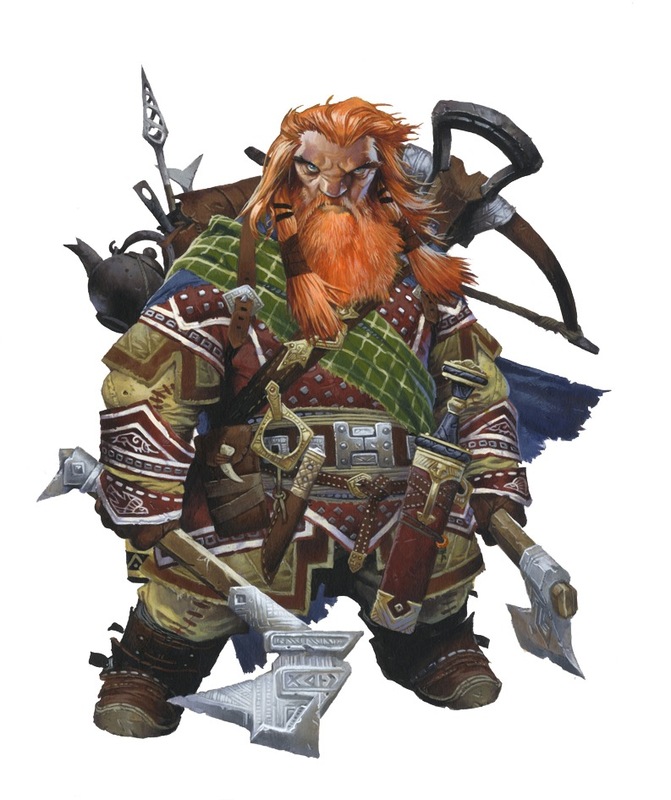 Harkening back to the hunter's bond class feature in Pathfinder First Edition, these feats allow the ranger to support the rest of the group with increased flexibility in how he chooses to do so, and these are just a few. The ranger can expand on Monster Hunter to grant even more benefits with a successful Recall Knowledge and even share the benefits of Hunt Target with other PCs (pretty much any martial class will love this benefit). And while flanking-savvy fighters might be a rogue's traditional best friend, the 12th-level Distracting Shot feat allows the ranger who hits a target with two ranged attacks in the same turn to leave that critter flat-footed until the start of the ranger's next turn. This helps fast rogues bring the pain quickly and farther away from more heavily armored support. Like alchemy, the ability to create snares is granted by a general feat (Snare Crafting). And like alchemists, rangers have the potential to lift general snare crafting to greater heights. What are snares? Well, they're small portable hazards, very similar to traps, which can be set up in a short period of time (usually 1 minute). While it's unlikely that you will set up a snare in the midst of combat, they are perfect tools to arrange a battleground to your advantage. For instance, remember the nature's edge class feature that allows you to treat enemies in difficult terrain as flat-footed? Here's the most basic snare that creates difficult terrain. A square with this snare becomes difficult terrain when the first creature enters it, and then it is destroyed. Other snares set off alarms, trip, or deal damage to those entering the area of a snare. Grab some alchemical items, and you can deal even more damage with a snare. You set a trio of liquid ice bombs to explode in unison when a creature enters the freezing snare's square. The target must attempt a DC 22 Reflexsave. Success The target takes 1d8 cold damage. Failure The target takes 3d8 cold damage and is hampered 10 until the end of its next turn. Critical Failure The target takes 6d8 cold damage and is hampered 10 until the end of its next turn. Ranger feats that deal with snares allow you to learn more of them as your Crafting rank increases, lets you set them up faster (even in the middle of combat), and increases snares' DCs to match your class DC. Always make sure that your allies know where you hid your snares, or no bonus to attack rolls or initiative that you grant them will make up for the damage and humiliation you might cause. In last week's Design Tuesday blog, I delved into the importance of terrain to push your encounter design to the next level, and provided you with some design philosophy to ponder when designing your own terrain. This week, I'm back with some concrete examples. The Pathfinder Roleplaying Game assumes combatants are able to use their movement abilities with little or no hindrance. Sure, there are walls, doors, and difficult terrain to navigate, or maybe some obscuring effects to grant a little concealment, but for the most part PCs and monsters have free reign to move about the rooms and corridors of the dungeon as they wish. The following types of terrain are all exceptions to this norm. While some act as difficult terrain, they present further hazards while navigating the battlefield. One thing to keep in mind about all of these new terrain types is that they typically work best as smaller, tactically placed patches. You may be tempted to fill an entire battlefield with one of these new terrains, but doing this should be the exception rather than the rule. They all work best when they give characters a choice between freedom and danger. When properly placed, they can reward the use of combat maneuvers and spells that grant increased mobility to allies or restrict or force the movement of enemies, and may limit the opportunities to make charge attacks without stymieing that tactic outright. You may notice that these new terrain types are very similar to the hazards presented on pages 244–245 of the Pathfinder RPG GameMastery Guide. So what is the difference between these terrains and hazards? These hazardous terrains involve slightly more choice on the part of combatant than hazards do. Most, if not all, have effects when a character chooses to move into or is forced into them, and those effects should be relatively easy to determine before the combatant enters them, either by way of their physical characteristic or an easy Knowledge check (DC 10) of the appropriate type. Anchor Stone: This strange stone has a debilitating gravitational effect on those who do not traverse over it quickly. Each time a creature starts its turn on an area of anchor stone, it must succeed at a DC 12 Fortitude saving throw. Any creature that fails can only take a 5-foot step on its turn. Any creature that succeeds at the saving throw must move at half speed on its turn. To take the effects of anchor stone, a creature must be standing on or touching the stone. Anchor stone has no effect on those who fly over it or otherwise do not have physical contact with the stone. Some areas of anchor stone are more powerful than others, having a DC of 15, 20, or even higher. Choke Spores: This type of fungus thrives in subterranean caves and other damp and lightless areas. The first time a creature starts its turn within an area containing choke spores, the poison of the fungus is released, inflicting those within that space with the following poison. Once an area of choke spores releases its poison, that area becomes dormant for 1 day. With a single standard action, a creature can use fire (from a torch, a flaming magical weapon, or a similar implement) to destroy all the choke spore balls within all 5-foot-squares adjacent to the creature. Acid, cold, and fire damage from area effect spells automatically destroy patches of choke spores within the spells' effect areas. Fey Mist: This strange swirling mist of purple and green gas and motes of light dazzles those who stray within it. Fey mist provides concealment. Furthermore, a living, non-fey creature that starts its turn within the mist must make a DC 12 Will saving throw or become confused for 1 round. Those that make their saving throws are dazzled for 1 round instead. This is an enchantment effect. Some areas of fey mist are more powerful than others, and have and require a DC 15, DC 20, or even DC 25 Will saving throw to avoid its confusion. Flame: A house is on fire and that flame rages in large areas, a hellish landscape burns around you, or a large bonfire rages in a clearing where a coven of witches chant evil incantations. While the Pathfinder RPG Core Rulebook has rules for forest fires, sometimes you may want to have a section of an encounter area that just burns. When a creature starts its turn with its space fully within an area of flame, it takes 1d6 points of fire damage, and if the creature is wearing metal armor, it is affected as if by a heat metal spell. A creature that starts its turn with its space only partially within an area of flame must succeed at a DC 12 Reflex saving throw or take the damage and the heat metal effect if it is wearing metal armor. A creature that moves through areas of flame must make a DC 12 Reflex saving throw or take 1d6 points of fire damage, but avoids the heat metal effect. This save is made the first time a creature moves into flame with a move action or when it is affected by something that pushes or otherwise forces the creature into an area of flame. Supernatural or powerful flames can have higher DCs. A raging fire can have a DC of 15 or the fires of Hell can have a DC of 20, 25, or 30 depending on the power of the flames. Areas of flame often create smoke, the effects of which can be found on page 444 of the Pathfinder RPG Core Rulebook. Haunted Ground: These areas of accursed ground are often the sites of horrid crimes or intense and bloody battles. The intense fear of those who lost their lives lingers and saturates the area. This fear affects living creatures that stray within these areas. A living creature that starts its turn in an area of haunted ground must succeed at a DC 15 Will saving throw or become shaken for 1d4 rounds. If the creature is already shaken, it becomes frightened for the same duration instead. Frightened creatures become panicked for the same duration instead. Creatures that are immune to fear effects are immune to haunted ground. Razor Rubble: Either rubble made of sharp stone, or laced with small sharp blades, this terrain functions like difficult terrain (see Pathfinder RPG Core Rulebook193), but each square a creature enters deals 1 point of damage to that creature. A creature moving at half speed, or that succeeds at a DC 15 Acrobatics check as a free action when first moving into an area of razor rubble can avoid the damaging affects for the round but not the difficult terrain effect. Slick Ice: A frozen lake, a sheen of thick ice on a dungeon or cavern floor, or some other cold and slick surface, slick ice can be hard to traverse, but can also increase the speed of creatures that are agile or foolhardy enough to utilize its surface's lack of friction. A creature traversing slick ice at more than half speed is required to make a DC 15 Acrobatic check at the start of the movement. Failure causes the creature to fall prone at the start of the movement. Running or charging on slick ice increases the DC by 5, with the same effect on a failed skill check. A creature that succeeds at this check by 5 or more can increase its move across the ice by 10 feet, but is considered flat-footed until the start of its next turn. Creatures (like those with enough levels of barbarian or rogue) that can't be caught flat-footed at the start of combat are immune to this flat-footed effect as well. Tentacle Mold: This strange vermillion fungus clings to the moist walls, floors, and even ceilings of dungeons and caverns. When a living creature is in or near a patch of this fungus, acidic pseudopods lash out, with sickening effect. When a living creature starts it turn in an area of or in a square next to (if it clings to the walls or the ceiling) of tentacle mold, it must make a DC 15 Fortitude saving throw; on a failed saving throw the creature takes 1 acid damage and is sickened for 1 round. Though the effect is like a poison, this is not actually a poison effect; the strange chemistry of this kind of mold makes it more alchemical in nature. It's time to begin another story on Paizo's free web fiction Wednesday, and this time we have something new and different for you! In celebration of the release of Plague of Shadows, the new Pathfinder Tales novel, we've brought you a brand-new prequel story from Plague of Shadows author Howard Andrew Jones, featuring a number of the same characters but taking place well before the novel. Once again (or rather, once before) the Forlorn elf Elyana and her friends will encounter the evil of the Gray Gardeners in Galt—but this time there are the dark depths of the Verduran Forest to contend with as well. It's a pleasure to get to see characters from the novels in the web fiction, and we hope to do so each time a new novel releases—as well as sometimes just for fun. As an author, Howard has knocked it out of the park. Early comments on Plague of Shadows have been extremely positive, and it's easy to see why. Perhaps it's the smooth speed with which he handles the fight scenes (and there are plenty), or the fast-paced sword and sorcery flavor (which is hardly surprising, given his status as Managing Editor of modern pulp magazine Black Gate). Yet even more than that, I think it's the classic feel of his stories that draw people in. Of all the novels we've published so far, Plague of Shadows is the one that most closely hews to the time-tested adventuring party dynamic. There's Elyana, the Forlorn elven ranger who knows her love for any human can never last; Drelm the honorable half-orc, struggling against his heritage; Vallyn the bard; Kellius the wizard—these are characters that feel familiar, even as they feel new. And that's just the main party. Set many years earlier than the novel, this new story, "The Walkers from the Crypt," introduces us to the party that came before, and to the tensions that laid the novel's groundwork. But I don't want to spoil anything, so I'll stop there, and just say that it's a lot of fun. I would also be remiss if I didn't note artist Eric Belisle's amazing illustration of Elyana, who also features on the cover of Plague of Shadows. Eric's perfectly captured the look and feel of an elven ranger from Golarion, and I hope you'll agree that the character in both the story and the novel are every bit as compelling as the illustration. When designing an encounter, it's tempting to focus the majority of your attention on the mix of monsters and villains. After all, coming up with interesting enemy synergies and evocative scenes of terror, threat, and evil-doing go a long way in making encounters both memorable and fun. Often neglected, though, is making sure that the setting you place these bad guys in offers both threat and opportunity of its own. When designed correctly, the terrain of an encounter can provide opportunity and challenges that not only compliment the opponents that you select, but can make combat the stuff of gaming stories for years to come. There are two ways to go about terrain selection for your encounter. The first is to think about the environment that you want to set your encounters, or an entire adventure, within, and filling it with the proper terrain. When it comes to dungeon and cavern settings, much of this work is already done for you. Take a look at Chapter 13 of the Pathfinder RPG Core Rulebook, especially pages 410–416, and you'll find a good selection of terrain types to stock your dungeon. You'll also want to check out pages 193—194 of the Core Rulebook as it has the rules for difficult terrain and obstacles, and maybe take a peek at pages 244–245 Pathfinder RPG GameMastery Guide for some sample hazards to play with. Picking proper terrain is all about creating interesting exceptions, so the first thing you'll want to do is make decisions about the baseline terrain for your dungeon. Unless your group is full of seasoned Pathfinder veterans, you'll want to set those baselines at or near the base assumptions of the Pathfinder rules: Masonry walls, flagstone, and wooden doors are a good start. For the most part you, and your players will not have to think about these areas of terrain at all. They're the standard dungeon dressing everyone is use to. Then you'll want to think about the possible exceptions for your dungeon. Are parts of the dungeon in disrepair? Are parts of the dungeon in the midst of construction? Does the dungeon serve as an entryway to a subterranean cave system? Does it lead to an underground river or water or magma? Once you are done imagining your dungeon, and maybe even sketching it on some graph paper, you can start to figure out where the exceptions sit, and then start brainstorming possibilities that you can't find in the rules... but we will get to that later. Straying deeper into Chapter 13, you can make similar choices for large areas of terrain that are not dungeons, but the principles are the same. Find your baseline, and then ponder the possibility of interesting and evocative exceptions to that baseline. Take some notes, ponder some possibilities, and search the rules for similar types of terrain. The other way to go about creating interesting environments is to think about the monsters and villains you want in your encounter in the adventure, and ask yourself two questions. The first question is, what kind of terrain compliments the monsters' or villains' tactics? The second question is, what kind of terrain compliments your PCs' abilities? Answering the second question can be a little tricky, especially if your end result is being designed for a nonspecific group of PCs (say you're writing an adventure for a convention or Pathfinder Society open call, or you're already thinking about next year's RPG Superstar). More often than not, you'll want to try to fill your encounters with terrain that does both simultaneously. This creates better-balanced encounters that don't favor one side or the other overly much, which not only tend to create more exciting encounters, but can also bypass the need to adjust the CR of your encounters because terrain favors one side more than the other. Whenever possible, it's best to use a mixture of these two approaches. Treat each one as lenses toward your ultimate goal—to create a fun game experience in a world that seem rich, vibrant, and full of possibilities and potential dangers for the PCs to explore. Whenever you get the itch to create a new piece of terrain, you should shoot toward making your terrain challenging to interact with but not overly frustrating. In general, you will want one of two speeds for your new terrain. The first speed is terrain that has automatic effects when a creature spends an action to interact with it, but the effect is always constant. Unlocked doors, stairs, and small passageways all fall under this category. They talk directly to the action economy of the game. Someone must spend an action or slightly modify her normal actions in order to use them (think squeezing, opening doors, or basic difficult terrain). This type of terrain is easy to use, quick to remember, but it lacks variability. Some of the most exciting terrain features effects that do not guarantee success, or, better yet, feature varying degrees of success. Enter the second speed of terrain, where actions are often required, but the effect is variable. Usually such variability is tied to the uses of a skill. For most terrain you will want to pick a basic skill that can be used untrained and that makes sense for the terrain type. Acrobatics, Climb, Escape Artist, Fly, Survival, Swim, and even raw Strength checks are some obvious examples, with Acrobatics already doing a lot of the heavy lifting with the terrain found in the Core Rulebook (see hewn stone floors, rubble, and slippery floors). But don't be afraid to mix it up a little with other skills, even those that can't be used untrained (Disable Device, Ride, and even Stealth are some personal favorites). Creating such terrain is just another way where PCs (or monsters) with high skill bonuses have an opportunity to shine, but at a cost. Failure is a possibility. When creating new terrain, it is not only important to make sure that they work within the normal rules of the Pathfinder RPG but that they are also the right fit for the PC and creature mix you are designing encounters and adventure for. Designing a fight on a frozen lake may seem like fun, but the last thing you want to do is slow down the encounter to a crawl with every creature being forced to make an Acrobatics check in order to accomplish any kind of movement whatsoever. Consider creating relatively safe areas (maybe areas covered with snow or rough ice that grants more traction), giving clumsy creatures slightly suboptimal movement choices, while allowing agile creatures to gamble for success, or even the possibility of greater effect. With those sheets of ice, consider giving them the possibility of bonuses when higher Acrobatics checks are rolled. With some of terrain philosophy out of the way, start fooling around with creating your own terrain. Tune in next Tuesday for some new pre-made terrain objects to spice up your game. Next week we will be focusing on some terrain primarily designed to limit or focus movement and action types, and the week after we will unleash some crazy terrain options that grant new action options, such as movement and even some terrain that grants creatures special attacks. Howdy, everyone! So, hot on the heels of the announcement of "Design Tuesdays," I'm here to unveil the first installment of "Golarion Day!" Every Thursday, we'll try to do a post that expands the world of Golarion in some small way. Sometimes, this might be a tiny new rules element. Other times, it might be a bit of lore. It could be a brief look into an upcoming product or an interview with someone who's worked on the world of Golarion. Or, as in today's case, it could be a quick update of older rules to the current Pathfinder RPG system. Let me know what you think, and if you have any special requests for future Golarion Days, let me know that as well! So, back in the day in the Guide to Korvosa, we told you about a group of rangers called the Sable Company. Exported from my homebrew game (where they were known as Skyriders), these highly trained city guards patrol the skies above Korvosa on hippogriffs that they've bonded with. In Guide to Korvosa, we handled this bit of fun flavor by simply introducing a new feat: "Sable Company Marine," which let rangers select hippogriffs as an animal companion. And for a few years, all was well and good. Then we went and did something unthinkable. We changed games. And in the Pathfinder RPG Bestiary, we didn't even bother to keep the poor hippogriff around. The griffin was there, sure, but no sign of his less cultured kin. I'll be honest. I was a bit surprised to see the hippogriff become the most-missed monster from the Bestiary. I would have assumed something bigger and badder, like missing titans or nightwalkers or inevitables would get folks riled up, but I was wrong. So when it came time to do Bestiary 2, it was obvious what monsters we needed to include—chief among them was the hippogriff. But the job still wasn't finished, because we'd also changed the way rangers get animal companions, and we'd even changed the way animal companions work. So, until we actually get around to revisiting Korvosa's Sable Company in print (which, I bet, we'll do some day in the future), check out the following rules for allowing rangers to gain hippogriffs as animal companions. Note that we've changed the way you gain a hippogriff from a mere feat to a ranger archetype—this is because hippogriffs are pretty powerful creatures as far as animal companions go, and not all rangers have the right stuff to serve in the Sable Company. It requires the sacrifice of some traditional ranger training in order to master a bond with a hippogriff, in addition to being a member of the Sable Company itself. It's up to your GM whether the Sable Company is hiring. (Basically, you need your GM's permission to select this archetype, and your GM may require your character to perform certain duties as befits your responsibilities in the Sable Company.) In fact, if your GM's cool with it, you can adjust the adjustments and flavor of the archetype so that other classes can get access to hippogriffs as riding companions—you can even use these rules as a sort of template to open up "animal companions" for similarly powered magical beasts. Because who wouldn't want to play a halfling ankheg rider? Anyway, here you go: Pathfinder-compatible updates for the Sable Company of Korvosa! Hippogriff Companion: You can gain a hippogriff as a companion. This ability works identically to hunter's bond when used to gain an animal companion, but can only be used to gain a hippogriff (see below for rules for hippogriff companions). You gain a +2 bonus on Ride checks made when riding your hippogriff companion, and whenever you are within 20 feet of your hippogriff, it gains a +2 morale bonus on all saving throws made against fear effects. This ability replaces favored terrain and hunter's bond. Starting Statistics: Size Large; Speed 40 ft., fly 50 ft. (average); AC +2 natural armor; Attack bite 1d6; Ability Scores Str 15, Dex 15, Con 14, Int 2, Wis 12, Cha 9; Special Qualities darkvision 60 ft., low-light vision, scent. 4th-Level Advancement: Speed fly 100 ft. (average); Attack bite 1d6, 2 claws 1d4; Ability Scores Dex +2, Con +2. Fear the scaled ones. Rhyn had heard the expression from his parents and the other elders in the village his whole life, and they had heard the expression from their parents, and back farther than anyone could remember. No one knew who had first coined the phrase, but Rhyn knew whoever did had lived in a swamp, this one or another, for he had learned the lesson that the villagers of Crossfen now taught their youth. An alligator had attacked two fishermen, out in the swamp on the sodden edge of the river that flowed toward Lake Encarthan. Crossfen children gathered on the pier to watch Rhyn prepare for the hunt. He coiled fishing line, checked that the fillet knife in its leather sheath was sharp, set a heavy club and a fishing pole in the skiff, and filled a bucket with fathead minnows. They quivered, too weak and thickly packed to flop, their flesh the dull silver of a tarnished fishhook in the lantern light. "Scaled ones aren't like us," Rhyn said. "I don't mean lizards, the ones that walk on two legs and hunt with spears. They're more like you and me. I'm talking about animals—gators, eels, fish. They live in the muck, breathing in silty water. They're always cold, right down to their skinny bones. Their eyes are always open, always watching. We can never understand them, and that's what makes them dangerous." "Eels don't have scales," one boy said. He had a sullen mouth, and bits of dried porridge clung to his face. "And they aren't dangerous anyway." Rhyn stared until the boy shuffled one foot behind the other and looked down. "Some eels don't have scales, that's true. But don't ever think something in the water isn't dangerous." He put down the lantern and rolled up one sleeve. A puckered, hairless divot in his flesh caught the light. "Capsized once and an eel bit me there while I was in the water. All the filth and rotten fish bits in its teeth set the wound festering. Had to cut a chunk out lest I lose my arm." Rhyn cursed silently. "It was a storm. I know, we don't get storms here. But it happened. Two years ago, out there." He gestured to the blackness. "Brought a rotten tree down on my skiff and capsized us. I was lucky to live through it." The children maintained a solemn silence. Rhyn finished loading the skiff and stepped lightly aboard. He settled into place and untied the line. As he pushed off, he looked up at the children. "Fear the scaled ones. They're not like us." "Fear the scaled ones," the children chorused. Rhyn floated away from the pier and into the swamp, until the lights of Crossfen hovered like fireflies in the distance. The skiff slipped in near-silence through the murky waters. The lantern hung from a pole curving off the bow, its light catching on the ripples that spread out from the boat. Rhyn shuttered the lantern, leaving only cracks of light spilling out from the metal plates. He fixed a minnow to the line and trailed it behind the skiff as he drifted, quiet and dark. Sheets of yellow-green scum broke apart as the skiff sliced through them and bobbed away in wrinkled patches. Long loops of vine brushed Rhyn's shoulders. A hum of insects hovered around the skiff. Gnats landed on his face and hands, tried in vain to puncture the tough skin there, and flew on. The throaty cry of a whippoorwill drifted through the trees. An hour passed, then two. Rhyn shifted position to keep his legs from growing numb. He reeled in the line and replaced the minnow with a fresh one. His thoughts drifted back to the children on the pier, watching him, growing smaller as he slid into the dark. His mind wandered that well-worn trail, favorite moments from childhood, secrets whispered in the dark, fishing together on the pier. He remembered them dancing in the Bent Reed while Mart played the fiddle. Rhyn had stepped on Cara's feet one too many times, and she'd laughingly refused to dance with him anymore. "Not until you apologize," she'd said. He'd grinned and refused and tried to catch her in a dance the rest of the night, but she always spun away. That had been a week before the last trip into the swamp. Rhyn stopped the memories there. Better to focus on the here and now. He stretched and looked up, into the tangle of tree branches thick with moss that hid the sky and cast the swamp into perpetual gloomy darkness. Something hung from a branch, a lattice of twigs strung with eggshells and bundles of herbs. Paint daubed on the shells traced runes that Rhyn couldn't interpret. He frowned at the fetish and thought briefly of bringing it down for a better look. Then the line bobbed sharply. Rhyn wrapped both hands around the fishing pole but didn't start fighting right away. He fed some line first and let it draw into the water for moment after moment before setting his legs under the bench and hauling on the pole. A spray of water exploded twenty feet away. Strips of jagged light from the shuttered lamp slashed across the gator's belly as it thrashed in the water. Sweat poured from Rhyn's body and gnats descended on his hands and neck in a rush. The skiff rocked, but Rhyn held his spot, keeping his weight in the center of the bench. Bit by bit he took the line in, bringing the gator and skiff closer together by inches. "Don't break," he muttered. The line was spider-silk thread from the giant spiders in the Fangwood, spun with catgut and double-waxed for strength. But this gator was big. The muscles in Rhyn's arms stung. A yellow eye glared briefly from the churning water and disappeared under the surface again. The rigid green-black hide, rough as cordwood, surged toward the skiff. The gator's tail lashed the water, drenching Rhyn in a spray of stinking murk. All at once he let go of the fishing pole and snatched up the club. "Aye, there are creatures in the swamp that will hunt a man. And the best protection is to hunt them first." The club was slick with swamp water and Rhyn clenched both fists around it. The gator rammed into the skiff and Rhyn almost slid off the bench as it rocked. The lantern bobbed wildly. A wave of water rolled back as the gator opened its mouth and readied to take a bite out of the side of the skiff. Rhyn brought the club down on the gator's head, two-handed, with all his strength. The beast stilled momentarily, its great mouth open, rows of yellow teeth curving over the gunwale of the boat. Rhyn swung again, slamming the gator's skull with brutal force. Its eyes went dim and flat. While the gator was stunned, Rhyn snatched up the fillet knife and drove it deep into those yellow eyes, first one and then the other. He sat quietly in the boat for a spell after he killed the gator, breathing deeply and absently swatting at insects. When his heart was back to its proper rhythm, he tied the gator up and let it drag behind the skiff. The energy of the battle still hummed around him like an insect cloud. He felt recharged, purposeful, invincible. This was why he'd chosen to stay in Crossfen even after Cara had died. Why he'd taken on the mantle of protector though none of the townsfolk had asked him directly. Because he could, and because they needed him, and because it felt right. He imagined this was what it was like to be the Forest Marshal, a leader and protector. When Rhyn pulled the skiff up to the pier, the children were still hanging about. They ran off the minute they saw him, and by the time he'd tied off the boat, climbed out, and dragged the gator's body onto the boards, a group of townsfolk had clustered. They murmured with fear and admiration as he rolled the gator on its side. "Not too big," Mart said. "Not too big," Rhyn agreed. He fished his knife out from the skiff. "What do you think, seven feet, nose to tip? Still bigger than most." "Usually five to six is what I see," one of the fishermen said. He scratched his ear. "That looks like the fella that hit us last week. Don't get 'em this far up, and so big either." "And they don't attack men," said Mart. "Strange all around." "What's this?" Rhyn fingered an old scar on the gator's cream-colored underside. "Almost a pattern." The scar reminded him of the runes on the fetish hanging from the tree, and the skin on his back crinkled in gooseflesh. Rhyn lined the knife up on the gator's belly. Gators could and would eat just about anything, and it was always worth checking their stomachs. The gator's fleshy belly was thick, but not tough like the rest of its hide. The gathered women shooed the children off and headed back to their homes. The fishermen who remained gathered close around to watch. Rhyn slid the knife in and worked it back toward the tail, letting the oily blood drip down through the boards of the pier. It was the work of a few minutes to find the stomach and slice it open. Rhyn reached in cautiously with gloved hand. He wrinkled his nose at the acrid stench of bile and groped through the mush of the gator's insides. Almost instantly he felt it: a tangle of firm but yielding objects, like a mass of twigs. He grabbed one and pulled. With a wet squish, he withdrew his arm and displayed a human hand, flesh dripping off the bones, green with slime and severed at the wrist. The fishermen recoiled with a collective groan. Rhyn dropped the hand and it splatted on the pier. "Guess he had himself a meal not long ago," Mart said. "Guess so." Rhyn gingerly slid his hand back into the stomach, breathing shallowly through his mouth. The stink of rotting flesh, heavy and thick as marsh gas, hovered around him. He grabbed at the tangle again and pulled. A second hand slopped onto the boards to lay beside the first. The fishermen muttered and shook their heads. Rhyn stared at the hands, brow furrowed. Soft bones, half-eaten by the gator's stomach juices, shone wetly through the strips of flesh. Mart came to squat next to him. "Poor soul," he muttered. "Strange how they look almost cut, isn't it? Suppose there's more of him in there?" "Don't know," Rhyn said. He took one of the severed hands between thumb and finger and flipped it over. "They do look cut. Mart, tell me something." "These both look like right hands to you?" Everyone stared at the hands for a good long minute. "Fear the scaled ones," Rhyn whispered. He pulled five right hands from the gator's stomach and nothing else. Within an hour he had cleaned and sharpened his knife and restocked the skiff. Mart stood on the pier and watched the preparations. "Why you gotta go right now?" Rhyn paused in the act of coiling a rope. "I saw something right before the gator surfaced. Some kind of charm hanging from the trees." "You think maybe a lizard put it up there?" "Maybe. I don't know. But the gator sure as hell didn't tie it to the branch, and it didn't bite off five people's hands just for fun. Someone's behind this, and once they realize their pet is dead, they'll haul off. Find a new hole to squat in." "But Rhyn..." Mart rubbed his chin. "You'll be out there at night." "Got no choice. I'm the one who keeps you all safe. Can't always wait for the right time to do that." Rhyn tossed the rope into the skiff and set his longsword on top of it. "You got plenty of choice. You took up this job on your own and we were happy to let you, 'cause you're good at it. But you can stop whenever you want. You've paid your debts and then some." He paused. "It wasn't your fault." Rhyn stared out into the black of the swamp. "I'm gonna head out. I'll come back when it's safe." Mart shook his head but said no more. Coming Next Week: Creatures of the deep marshes and old wounds torn wide in the second half of "The Swamp Warden." Amber Scott is the author of several chapters in the Pathfinder's Journal, as well as numerous Paizo RPG products, including recent releases such as Heart of the Jungle and Halflings of Golarion. She writes from her home in Canada, where she lives with her husband, Jason, and her two cats, Dabu and ZugZug. Getting some really great costumes this year! With the first adventure in the Serpent's Skull Adventure Path, the PCs are shipwrecked on the notorious island of Smuggler's Shiv. But fortunately for the fragile 1st-level characters, they won't be alone against cannibals in the jungle, ghosts in the surf, dimorphodons in the sky, eurypterids in the tide pools, and mysterious bat-winged night monsters. Because they aren't the only ones lucky enough to be stranded on Smuggler's Shiv. Presented here are five other castaways whom the players will be getting to know quite well during the course of their stay on Smuggler's Shiv. A couple of you out there will probably recognize these characters, since they're the ones I had you play at PaizoCon during the Serpent's Skull preview game I ran. In the actual adventure, though, these five are NPCs, complete with their own secrets and emotional baggage and talents. Keeping these NPCs from killing each other and working together to survive is a key part of the adventure—and each has a fun little boon to grant the PCs if they become good friends. These five will continue to play roles in the campaign as the Adventure Path unfolds, and how the PCs interact with Aerys, Gelik, Ishirou, Jask, and Sasha can ultimately mean the difference between success or failure! The start of Gen Con 2010 is five weeks away, which means that the Advanced Player's Guide will be hitting game stores and subscriber mailboxes in just over one month. To celebrate the release of this impressive tome, we are going to be previewing parts of it every week until its release. Last week we recapped the information from the PaizoCon APG Preview Banquet. This week we are going to dig into some details with an extensive look at the races chapter. As I mentioned last week, each of the seven core races receives a two-page spread of information. Each spread starts out with information about adventurers of that race, taking on each of the 17 classes available (that includes the six new classes found in the APG). This is followed up by alternate racial traits that allow characters to portray members of the race that are a little different than the rest, but still well within the theme of the race. To take one of these alternate racial traits, a character has to give up one or more existing racial traits. For example, take a look at this dwarven racial trait. Stonesinger: Some dwarves' affinity with the earth grants them greater powers. Dwarves with this racial trait are treated as one level higher when casting spells with the earth descriptor or using granted powers of the Earth domain, the bloodline powers of the earth elemental bloodline, and revelations of the oracle's stone mystery. This racial trait replaces the stonecunning racial trait. Or how about this Half-Orc racial trait. Toothy: Some half-orcs' vestigial tusks are massive and sharp, granting them a bite attack. This is a primary natural attack that deals 1d4 points of piercing damage. This racial trait replaces the orc ferocity racial trait. Each replacement racial trait is made to explore one facet of the race's inherent theme. Elves get abilities that tie them to nature, gnomes get abilities that explore their fascinations, half-elves can take abilities that help them live in both worlds, halflings can focus on their sneaky talents, and even humans are not left out. Humans can take racial traits that reflect their upbringing. In addition to a host of racial traits, each race also receives a number of favored class options. These options are tied to a race's theme in most cases, meaning that races only receive options for classes that are racially common. Possessing one of these options just gives your character an additional choice whenever he gains a level in his favored class (instead of a skill point or a hit point). For example, take a look at this elven wizard favored class option. Wizard: Select one arcane school power at 1st level that is normally usable a number of times per day equal to 3 + the wizard's Intelligence modifier. The wizard adds +1/2 to the number of uses per day of that arcane school power. Once an elven wizard takes this power twice, he gains an additional use of that ability. Want more, take a look at this gnome bard favored class option. Bard: Add 1 to the gnome's total number of bardic performance rounds per day. Of all the races, only humans have an option for all 17 classes. Here is the human sorcerer favored class option. Although this chapter is only 18 pages long, in a 336-page book, it is absolutely crammed full of new rules for characters of any race and class, a philosophy we took with the entire rest of the book. Next week, we will delve into the classes chapter, starting off by taking a look at the six new base classes in the book, and I might even go into some detail on the changes made to them after the playtest was over. GameMastery Guide Preview: Things Get Weird! Definitely some unusual stuff in there, and likely several topics you’ll have no interest in including in your game. But if something on that list does strike your fancy, now you’ve got help on how to make it work. These discussions aren’t all meant to give you in-depth rules on how to do this or that: while several provide a host of new rules content—like ship combat and undead uprisings —others walk you through what you need to consider to include such elements in your game. And even if you’ve never thought about taking your game in an atypical direction, who knows what might inspire you? Maybe it is time to unleash an undead uprising on your campaign, or take your PCs where no one has gone before. Play what your want: that’s the guiding message of this book. Heck, there’s even a section on personalizing published adventures to make them work better for you and your players. Also, rest assured that the topics presented above are some of the weird stuff—the parts of the book that take the discussions beyond the norm. There’s still plenty for GMs who never get tired of traditional sword and sorcery adventure. But how weird does the weird get? Well, I’ll let these crazy illustrations by Florian Stitz and Eva Widermann show you (at least I think those are the artists… Sarah’s out of town this week). As for next week’s GameMastery Guide Preview: let’s just say that we’ve got some fantastically interesting toolboxes to open. In just about a month (give or take a week or so), the thousands of pages we set free into the wild promise to return to us in shiny blue binding as the complete GameMastery Guide. In the weeks leading up to the GMG's release we'll be previewing some of that tome's coolest and most innovative aspects right here on the blog. What to kick things off with ended up being a real tricky decision, though. So rather than focus on any one element, I've gone through the book and snipped a handful of shots to give you an idea of what to expect merely from the text of this behemoth. Look closely and you'll likely notice that some snippets tease more than just a chart here or a new rules concept there. Also, since—aside from Christopher Burdett's thematically relevant compass rose—I've gone totally art-light here, tune in next week for a look at some of the GameMastery Guide's incredible illustrations, including its official mascot! Harsk learns the perils of not bringing a large enough kettle to the triceratops tea party on the cover to Sargava, the Lost Colony. The Pathfinder Roleplaying Game Core Rulebook is set to release on August 13th, 2009, and in anticipation, we are releasing a preview of the game each week until the game hits store shelves. This week, we are taking a look at Harsk, the iconic ranger. For months now, stories were spreading about brutal attacks made against merchant caravans making their way through the Mindspin Mountains. While not uncommon during this time of year, the savagery of the attacks and the reports of a giant man, bedecked with ice, caught Harsk's attention. Not a week later, Harsk was high up the mountains, casting about for a trail. He had already encountered a pair of slaughtered caravans, when he found one that was recently attacked. Fresh boot prints in the snow confirmed his suspicions. It was a frost giant. For two days he followed the trail without fault, leading deeper into the mountains before ending at the mouth of a deep, dark cave. Sneaking inside, the wily dwarf quickly found his prey, sorting through a vast pile of ill-gotten loot. The giant had no idea that death had come for him as Harsk took aim with his trusted crossbow. This is the sort of situation a ranger like Harsk dreams of. Having caught the giant in a cave, he has immense bonuses against the behemoth. Using his favored terrain bonuses, Harsk received a +2 on all Survival skill checks when tracking the giant through the mountains. In the caves (which count as underground), this bonus increases to a +4. It also applies to his initiative (giving him a great chance at going first), Perception, and Stealth checks. His favored enemy bonuses against giants of +6 applies to Bluff, Knowledge, Perception, Sense Motive, and Survival checks made against the giant, but more importantly, it applies to his attack and damage rolls. Added up, these bonuses give him a +32 bonus on Survival checks to track the giant in the caves (+30 in the mountains) and a +28 to avoid being spotted as he sneaks up to within 30 feet for the attack. Assuming Harsk gets the drop on the giant, he can use Pinpoint Targeting during the surprise round to ensure he gets a hit. This feat allows him to make a single attack as a standard action that ignores armor, natural armor, and shield bonuses to AC (which drops the giant's AC down to 8). If he wins initiative, he can then take a full attack against the giant. Using Deadly Aim (which allows him to take a –3 penalty on attack rolls to gain a +6 bonus on damage rolls, just like Power Attack but for ranged weapons), his bonus on these attacks comes out to +19/+19/+14/+9 with each attack dealing 1d8+14 plus 1d6 electricity and 2d6 from the axiomatic quality. If Harsk hits with all 4 attacks (and the surprise attack, which deals a little less damage), his average damage is around 138 points of damage, which is just enough to put the giant in his grave. If Harsk really wanted to ensure success, he would denote the giant as his quarry before combat begins. This ability is gained at 11th level and it allows a ranger to select a creature that matches one of his favored enemy types as his quarry, granting him a +2 bonus on attack rolls and automatically confirming all critical hits against the target. He can also take 10 on Survival checks to track his quarry while moving at full speed without penalty. Although Harsk can have no more than one quarry at a time, he can select a new quarry 1 hour after his previous quarry is slain. Now, this is not exactly a fair fight, as Harsk is built to kill giants in caves, but rangers are built to excel in specific circumstances. Against other enemies or in other environments, they are still capable combatants, but they really shine when hunting their favored enemies or while adventuring in their favored terrain. Harsk also possesses the hunter's bond class feature, which allows him to grant any allies within 30 feet half of his favored enemy bonus against one foe as a move action. Once given, this bonus lasts for 3 rounds. He could have taken an animal companion instead, but we will discuss those in more detail during the druid preview. For now, remember that if Harsk were to take an animal companion, his effective druid level would be 8th (not 5th, as it was in 3.5). In addition, Harsk has a few spells to aid him in his struggles. He now casts spells with a caster level equal to his ranger level –3 (instead of half his ranger level). His progression has also been improved a bit, giving him a few extra spells. Of special note is summon nature's ally III, which allows him to summon a boar, a wolverine, or even 1d3 Small earth elementals. Take a look at the following lists for more examples (some might even say this was a sneak peak at the Pathfinder RPG Bestiary). Harsk has a few other abilities as well. Swift tracker allows Harsk to move his normal speed while using Survival to track and reduces the penalty to –10 while moving at twice his normal speed. Track now grants a bonus on Survival checks made to follow tracks equal to 1/2 his ranger level. This change was made because everyone can track now using Survival, making the ability redundant. At higher levels, Harsk would gain additional favored enemies and terrains, additional combat style feats (additional archery feats in Harsk's case), improved evasion, camouflage, hide in plain sight, and at 20th level, the master hunter ability. This ability allows him to kill his favored enemies with a single bolt, assuming they fail their saves. He can also use this ability to deal nonlethal damage equal to the target's hit point total, allowing him to bring his prey back alive. That covers the ranger. Come back next week and enter the domains of Kyra, the iconic cleric. Of all the beasts that populate the wilderness, few are as feared as the bulette. Known sometimes as the landshark, the bulette is a sleek predator, moving as fluidly through earth as those primeval eating machines move through water. Bulettes possess insatiable hunger and view anything that moves as food. They hunt constantly, and when their attention turns to new hunting grounds they feed until nothing remains. They are the stuff of nightmares, the bane of the wilderness—a brutal, savage monster whose ferocious majesty was not evolved, but intentionally crafted. Not all dwarves are meant for the mines. As a young dwarf, Harsk spent every spare moment outdoors under the wide skies of southeastern Varisia, particularly at night beneath the stars, where his keen vision made him a hunter without compare. While generally uninterested in his family's traditional smithing, he still inherited enough of their tinkering ability to construct his own crossbow, a heavy, highly accurate weapon that few others are able to wind. Eschewing the company of his fellows, few things made Harsk happier than crouching in a tree stand with his bow, listening to the wind through the forest leaves and waiting for deer or larger prey to wander by. That all changed twenty years ago, when his elder brother, a fine captain named Sigur, led a dwarven war band from Janderhoff against a small party of giants that had descended from the Mindspin Mountains to raid and pillage. Out of affection, Sigur offered his less-experienced sibling the chance to come and prove himself as Sigur's chief scout and second-in-command. Calm and peaceful by nature, Harsk turned him down, failing to see the honor his brother was doing him until several days after the company had departed. Traveling light and fast, Harsk caught up with his brother quickly—but not quickly enough. Misjudging the size and skill of the raiding party, Sigur led his band into an ambush, where it was slaughtered to the last dwarf. With his brother's blood still fresh on his hands, Harsk went mad with rage. That night, he stalked through the giants' camp like a vengeful wraith, slaughtering giant after giant with his crossbow before melting back into the forest, only to reappear elsewhere and take another victim. When the last giant was left gurgling in the dust, Harsk took up his brother's axe and slipped off into the trees, vowing to forever be the voice of justice in the wild places, to keep balance and prevent the sacrifices of noble men like his brother. Harsk, like many of his kind, is gruff and taciturn, but there ends most of his connection to dwarven society. Something of a loner, he prefers to spend his time outdoors, communing with nature, though he occasionally travels alongside others whose goals match his own. Uninterested in the beer and ale that so characterize dwarves in the minds of human society, Harsk instead drinks pot after pot of strong tea to keep his senses sharp. While he never lets his brother's axe out of his sight, he wields it only as a last resort, knowing that his true skills lie in the hunt and striking from darkness.